Do You Yearn for a ‘Slow Day’ ? AS TIME MARCHES ON, the world seems to spin ever faster, with escalating demands and multi-tasking required to get through each day. As a writer, I welcome a day to slow down and experience the world. I not only welcome it, but require it to refresh my own well of humanity and creative spirit. IT WAS OFTEN DIFFICULT in previous years to slow down the rat race – such as when I was a young mother, and later a career woman and administrator. I am grateful that at this period of my life, I have more flexibility to schedule a Slow Day now and then. TODAY WAS SUCH A DAY… a walk by the lake, a trip down memory lane at the flea market, tulip memories, dinner in the ice house. 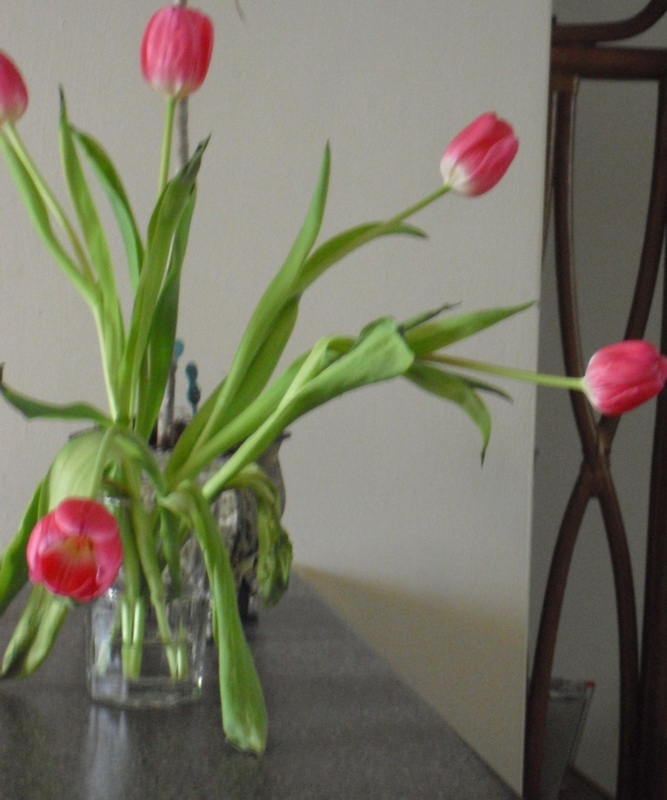 MY HUSBAND BROUGHT home a lovely bouquet of tulips today. Tulips are harbingers of Spring and remind me of so many happy memories! IN OUR EARLY MARRIAGE, we lived on Tulip Drive in Indiana. After we graduated from Indiana University with our master’s degrees, we bought our first house. It was a two bedroom house with three acres of lawn, on a busy street across from a golf course. We were happy there. We started our careers in teaching, and became parents for the first time while we lived there. We thought our modest home was a mansion. CARING FOR THE LAWN WAS A CHALLENGE, but we were young. It took most of one day each week for my husband to mow the lawn on the riding lawn mower. When our son was small, he would climb up on his dad’s lap and ride, sometimes falling asleep in his arms as he mowed a few rows. We planted a garden in the back yard with tomatoes, beans, onions, cucumbers, beans, corn, squash, gourds. We planted the garden rows farther apart so he could mow between the rows with the riding lawn mower (sounds crazy, huh!). We celebrated each year when the red and yellow tulips bloomed announcing Spring and an end to Indiana winter. Seeing the tulips bloom each year stirs my remembering of when we were young parents. WE EXTENDED OUR WALK to Davidson Lake today. We sat on a bench at the water’s edge for a long time just sharing our thoughts and making plans. 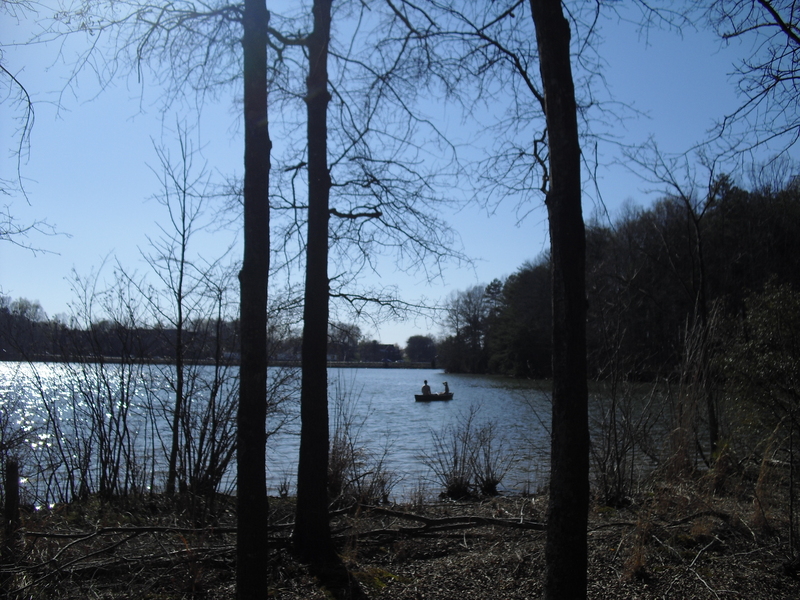 We watched a couple drifting along in a boat on the lake. AFTER OUR WALK, we browsed a downtown flea market of vintage furniture and other household items. We didn’t buy anything, but enjoyed looking over the strange, familiar and interesting things on display. 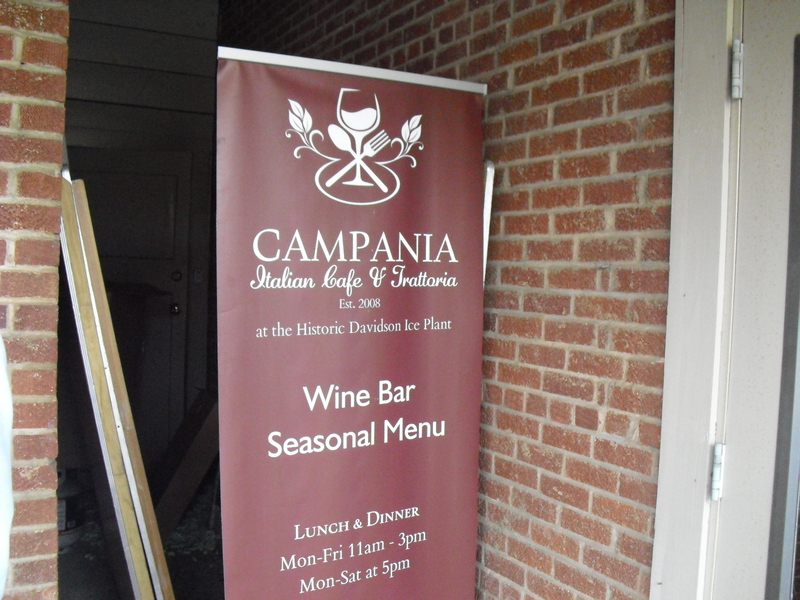 On the way home, we stopped for dinner at a restaurant that we had never noticed before. 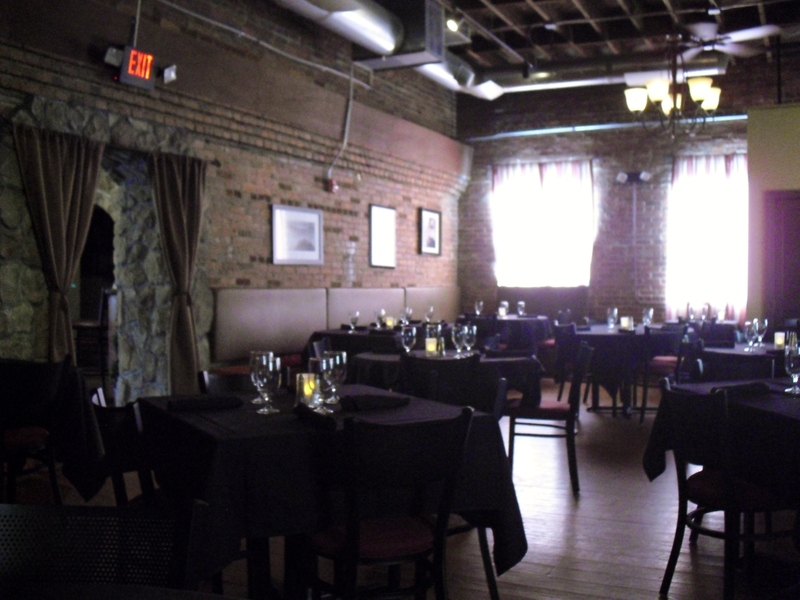 The restaurant was in an interesting old building that was an ice house years ago. 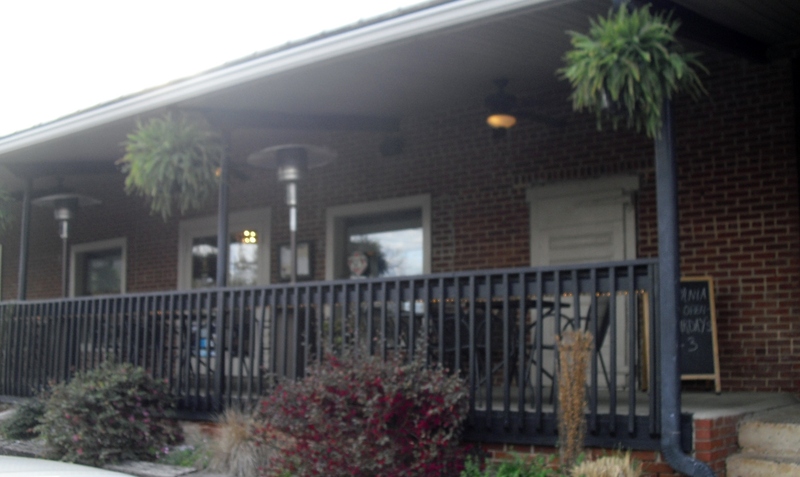 The seating on the porch was inviting, but we chose to dine inside. 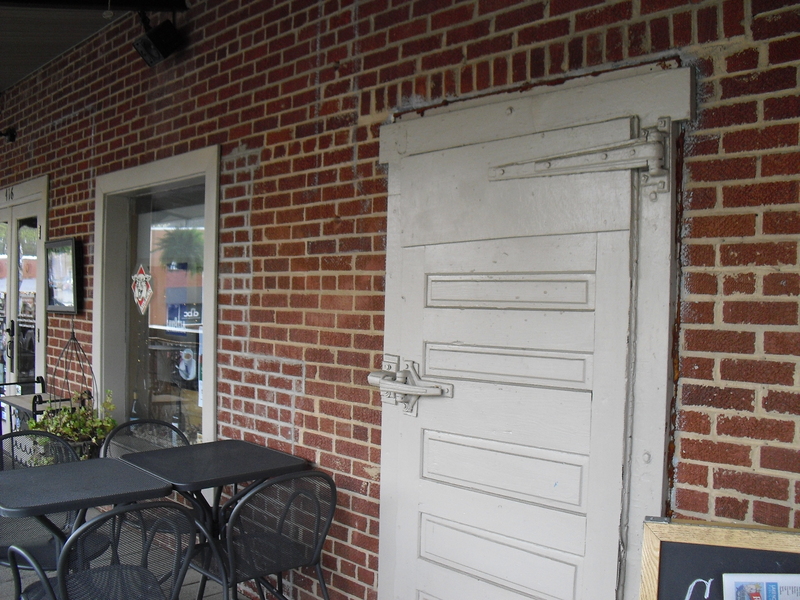 THE RESTAURANT HAD ATMOSPHERE with old pine floors, exposed brick and stone doorways. Tablecloths were black and glasses shone on the tables. 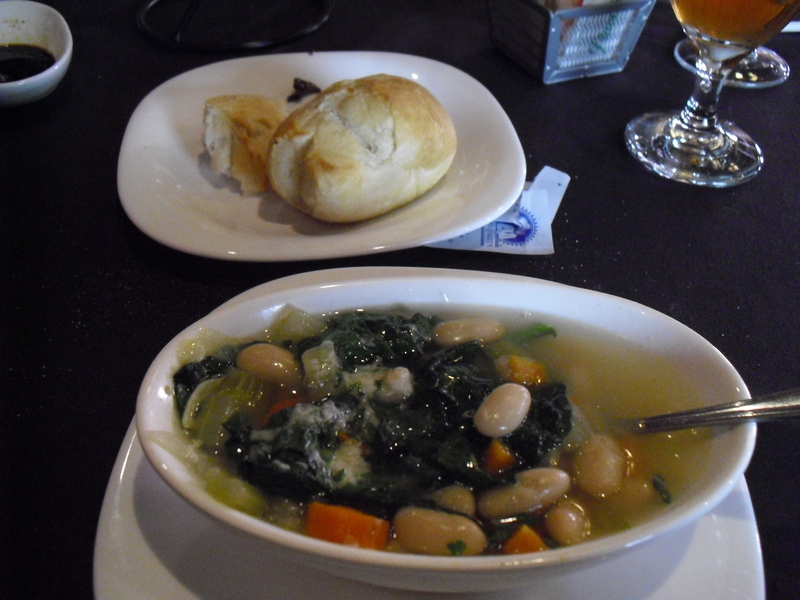 THE TUSCAN BEAN SOUP with spinach, celery, garlic, chicken stock, carrots, onions and parmesan topping was wonderful with the hot bread. 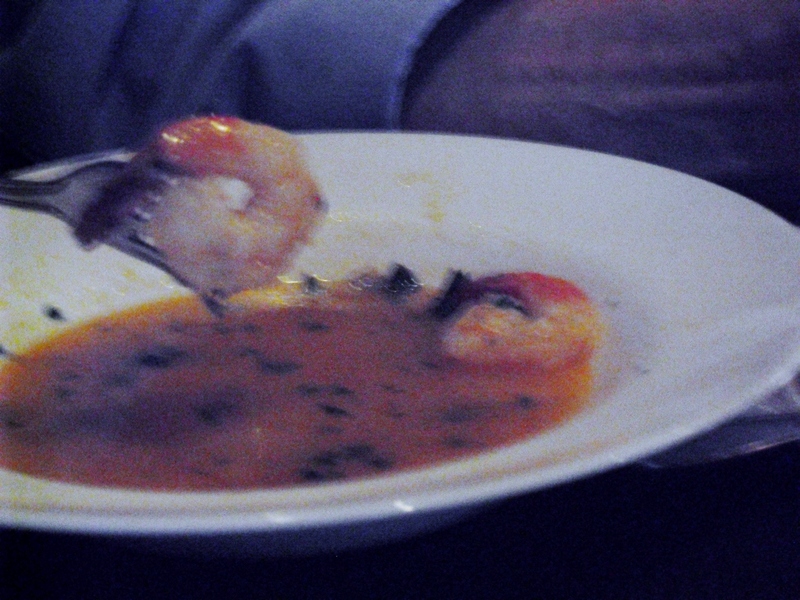 THE SHRIMP cooked in white wine and spices was good to the last bite. 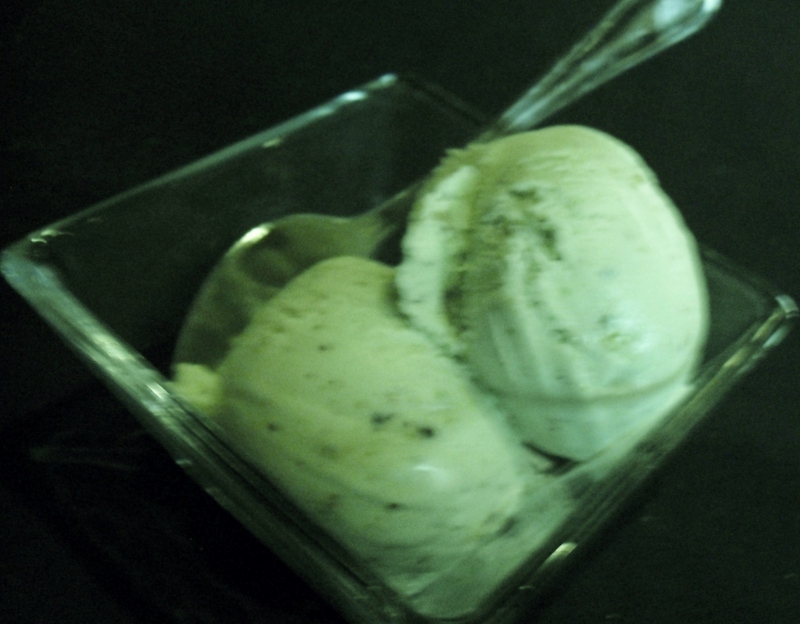 AND BEST OF ALL… homemade pistachio gelato! The first time I had pistachio gelato was in Cortona, Italy, on a trip with my dear sister Yvonne. It was fabulous! I must be sure to bring her here when she visits and we can laugh about how much pistachio gelato we ate on that trip. IN THE EVENING, we played a game of cards and watched an old movie with two seasoned actors, The Bucket List. Before heading for bed, I made my To-Do List for tomorrow with renewed enthusiasm, grateful to have shared this slow day with my husband. Previous PostSpring at Davidson Lake!Next PostHow to Celebrate Books this Week! Thank you, Sue, for following my blog and thank you for the delightful phrase “a slow day” which perfectly describes the time-out days that refresh my spirit and renew my optimism. This sounds like a perfect day, with time spent by a lake, a bit of browsing, a good dinner at a nice restaurant, and a movie, all done at a leisurely pace. May there be many more in your future. You have just described a day much like the G.O. and I like to spend when we have time. 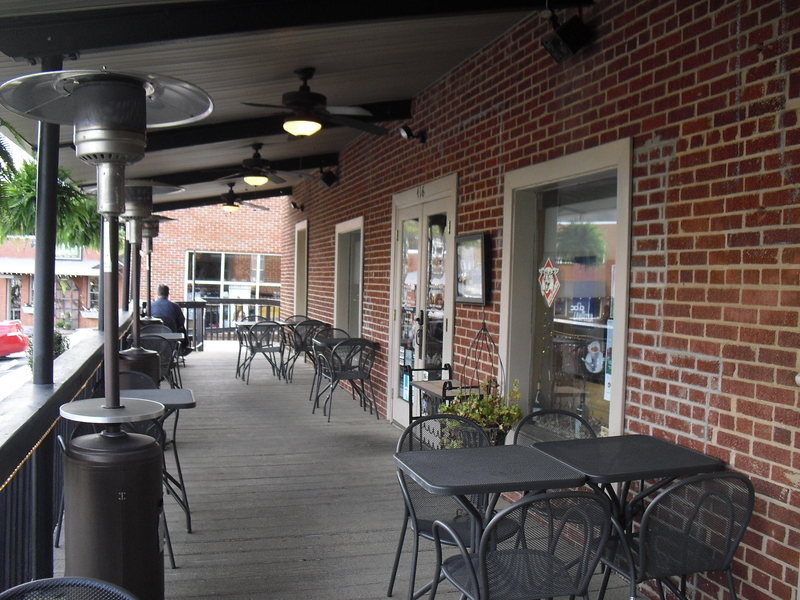 A walk, markets and a delicious meal. Simple but it’s not rushing, having time that makes it special.